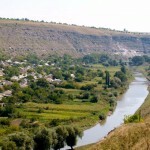 Moldova, officially the Republic of Moldova is a landlocked country located in Eastern Europe. It shares borders with Romania to the west, and Ukraine to the south, north, and east. Moldova’s capital and largest city is Chișinău with a population around 723,000. Moldova is one of the poorest countries in Europe. The country operates as a parliamentary republic with the president as head of state and the prime minister as head of the government. Nowadays the government’s priority in Moldova is to try to join the European Union as part of their European integration policy. Gambling is legal in Moldova and regulated by the government of the country*. There are many casinos operating in the country, most of them in the capital city of Chișinău. Online gambling is not yet regulated. As a result, players from Moldova can play in foreign online casinos unrestricted. The government of Moldova views gambling as an asset which can help increase revenue to help improve important fields like education, healthcare, sports, culture, and infrastructure amongst others. The government is trying to regulate online gambling in Moldova since 2010. However, no official timeline has been given, and things appear to move very slowly. Casino gambling is legal in Moldova since 1918. There are 4 smaller casinos (the Napoleon Palace, the XO Casino Club, the Casino Europa and the Casino Imperial) operating in the country, most of them in the capital city of Chișinău. These casinos offer the most popular casino games a player would hope for like roulette, blackjack, poker, and slot machines to name a few. Online gambling is not yet regulated*, so players from Moldova can enjoy playing online in many offshore online casinos. There are no domestic, Moldovan online casinos. Bingo is not very popular in Eastern Europe. Despite it being legal in Moldova, there are no bingo halls in the country. However, foreign online bingo websites are accessible to any Moldavian player. There are no Moldavian online bingo websites. Arguably poker is the most popular card game ever created. Many consider poker as a game a skill and not a game of chance. Gambling, including poker is legal in Moldova since 1918. You can play poker in 3 out the countries 4 casinos. However, players can enjoy playing poker in numerous offshore online casinos if they want to compete internationally. There are no domestic online poker websites. The most popular sport in Moldova is football, but the national sport is wrestling. Sports betting is popular in Moldova, but it is mostly small scale. Sports betting mostly centers around domestic football matches and it is operated by local companies including Toto Fiesta, PariTopSport, Cross and SportPari. There are many land-based bookmakers where players can bet on their favorite teams. However, online sports betting is not regulated and none of these companies operate a domestic online bookmaker. Players from Moldova can bet on sports at many offshore online bookmakers. Moldova’s national lottery is called Loteria Nationala a Moldovei and it is drawn every Sunday. The national lottery is controlled and wholly owned by the Ministry of Finance, it is a state monopoly. Online lotteries and online gambling are not yet regulated in Moldova. Therefore, there are no domestic online lotteries in the country. However, players from Moldova are allowed to purchase lottery tickets online from foreign lotteries and lottery agents if they want to try out foreign lotteries. As of now, Moldova does not have any laws regarding Bitcoin gambling or Bitcoin in general. Online gambling, as a whole, is also not regulated. An overview of the legal status of gambling and online gambling in Moldova.